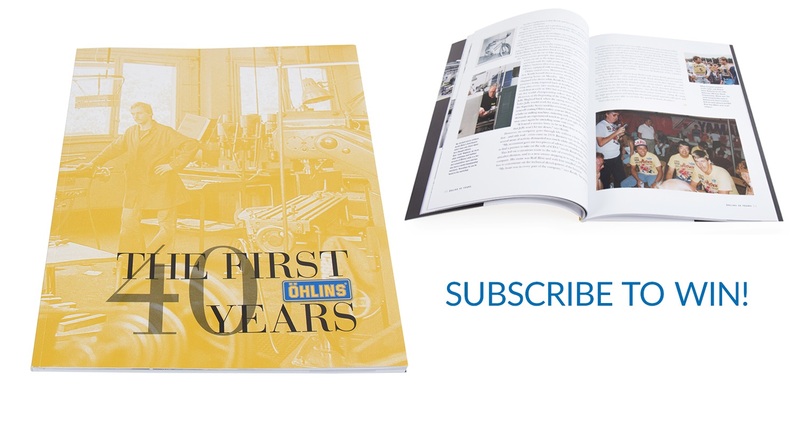 02 – Life begins at 40 for Öhlins! To celebrate this landmark anniversary staff, partners and VIP’s from around the world converged on the factory for two events marking the company’s birthday. A special commemorative book was also created with stories and insights from around the globe and across the spectrum of time and specialities. Visitors and their families were received at the factory and were given a special tour before a dinner party with 360 people enjoying the famously fine cuisine at HQ! 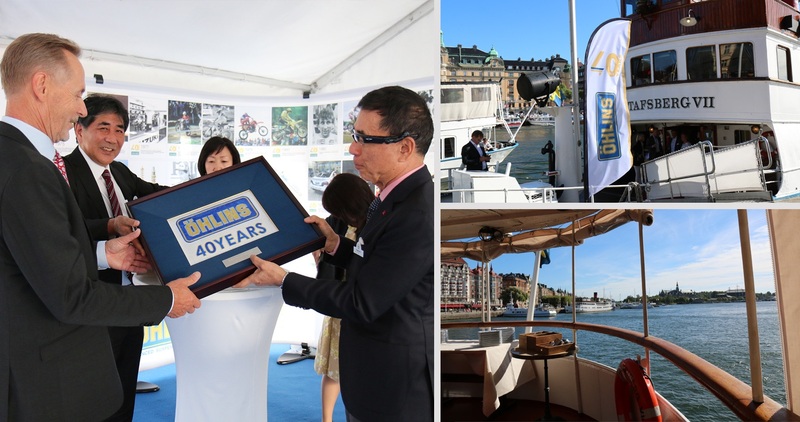 A separate event for worldwide distributors, dealers and VIPs featured a trip around the beautiful Stockholm Archipelago by boat, allowing everyone to enjoy a tranquil summer’s day with their colleagues and reminisce on their journey with Öhlins. There was then a dinner at the factory facilities in Upplands Väsby where guests had the possibility to visit the assembly plants. The 40th Anniversary book, (one lucky Performance subscriber will win a Kenth signed copy!) 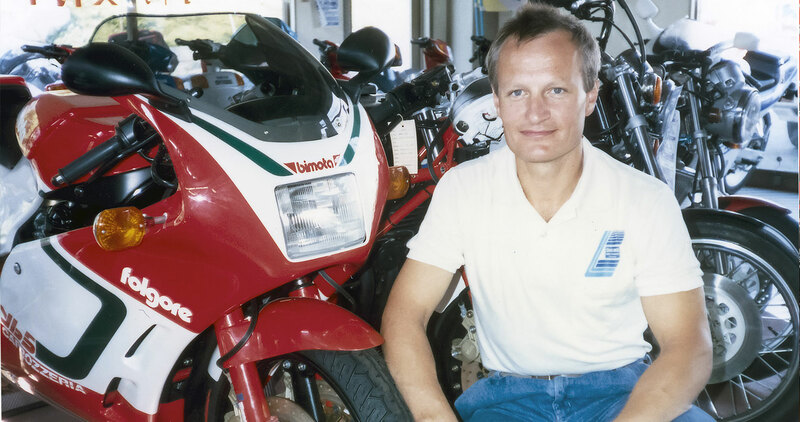 catalogues the Öhlins epic journey form the early years with Kenth and his lathe to the company it is today, winning championships from grassroots up to MotoGP and Le Mans 24HR. 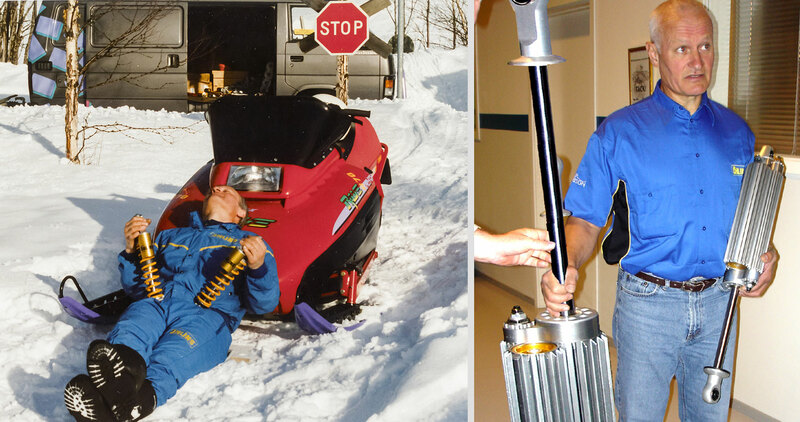 03 – From Sahara to Alaska, a 40 year journey with Öhlins Racing! So what next? “I was racing Motocross until I was 38 years old and then got into mountainbiking so I’ll keep that up and cross-country skiing in winter. Biking, golfing, and trying to stay in shape as an old man – and of course supporting my three sons and taking care of my grandchildren. 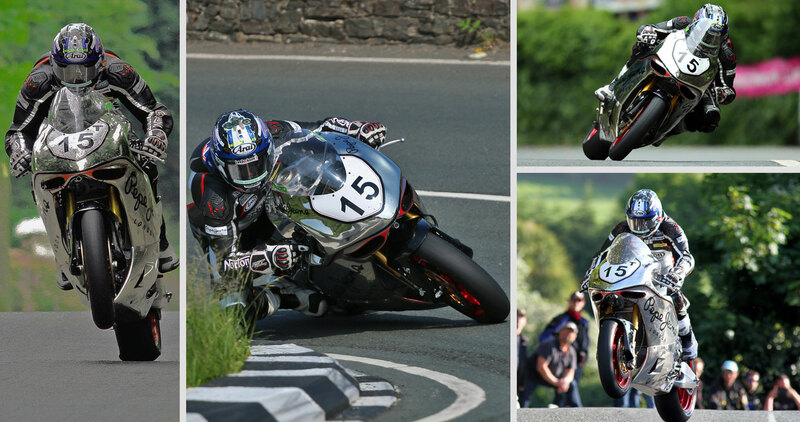 A quick test session at the island’s Jurby race track however saw them take a huge step forward and with the Island basking in glorious weather for the Thursday night practice session, the Australian rider was able to make an instant impact on his first flying laps, smashing the Norton’s record to set a 128.32mph average lap. 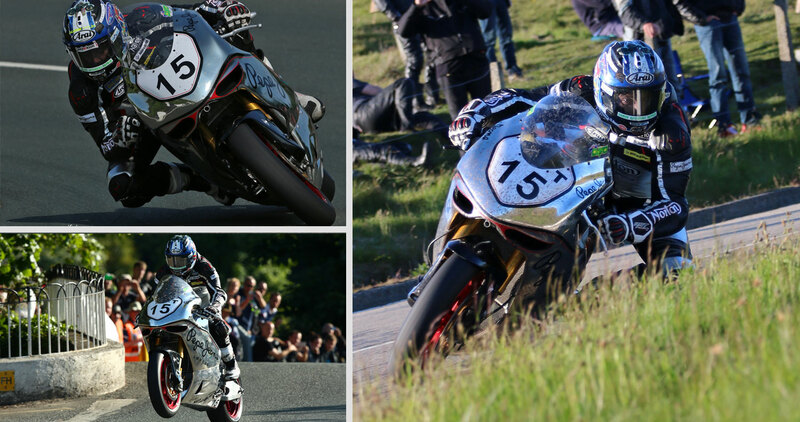 Continuing to take steps forward with every outing from then on, the opening six lap Superbike race saw Johnson take a stunning seventh place – the best ever result for the British manufacturer since its return to the mountain course in 2009. 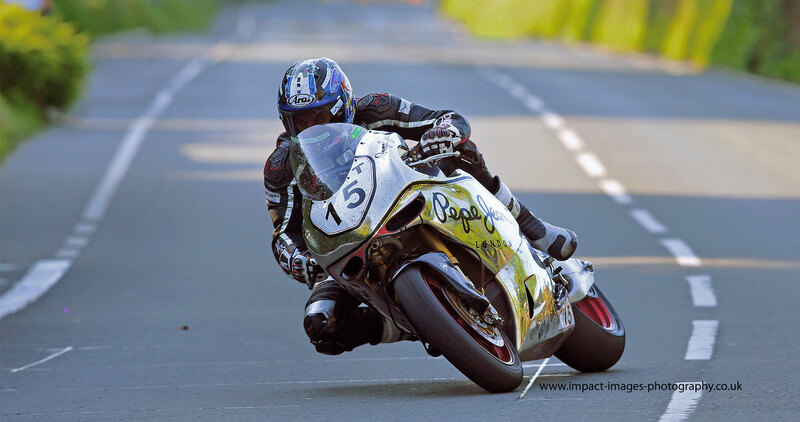 Johnson’s last lap of that race saw him circulate with a 130.872mph average, whilst his seventh place meant he beat the established BMW’s of Lee Johnston and Gary Johnson, as well as the MotoGP replica RC213V-S of Bruce Anstey! 05 – Getting technical with TTX Flow as Öhlins goes back to its roots! Using the massive experience massed from the many off-road engineers at the company, they started with a clean sheet of paper to create something truly different to what had gone on before. 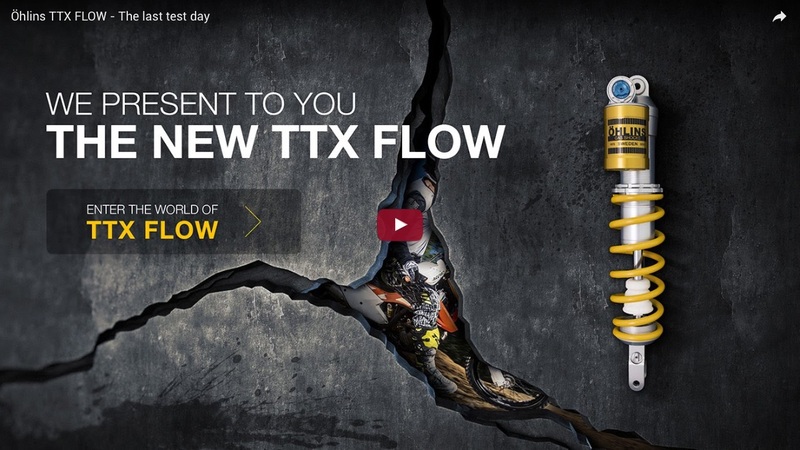 Extensively developed and tested for over two years, TTX Flow was launched to a fanfare of praise. To the rider the new shock offers unrivalled bike stability and traction, plus its complete redesign has been aimed to make it extremely easy to maintain and set-up. Öhlins founder Kenth Öhlin was a MX rider of some skill in his own right and has always held ‘scrambling’ as it used to be known close to his heart, so maybe it’s no surprise there was desire throughout the company to create this new shock at this milestone year, also as Kenth readied to step aside as CEO. So what makes TTX Flow different to previous shocks? The technology is quite involved but in basic terms it features patent pending pressure technology combined with an all new ‘spool’ check-valve system. This essentially helps the shock cope with multiple forces at once and ‘forget’ them extremely quickly, retaining chassis balance. To the rider this equates to vastly improved handling in whoops, braking bumps (so the rear wheel doesn’t go light) and absorbing harsh hits where the bike needs to remain settled for a large jump. Bottoming resistance is also improved through the introduction of a new bump rubber cup unit. Öhlins R&D Engineer Eric Hansson has been working on TTX Flow for several years after a watershed MX test where the riders gave some very indepth feedback which lead to a complete rethink on suspension technology within the department. Erik explains; “In simple terms, a motocross shock has to deal with a complex, simultaneous set of forces which it struggles to cope with. From our early analysis we built a crude prototype which showed our new theory to work and gave us direction for a production unit. 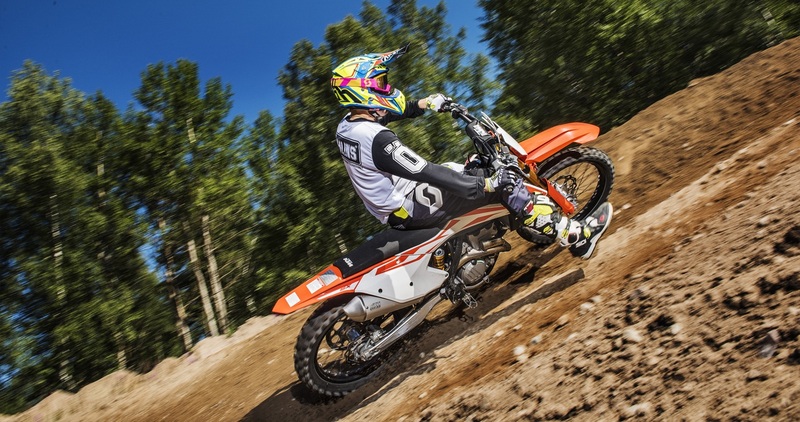 A motocross shock has ‘hits’ which disturb the system and therefore destabilizes the balance of the bike. It needs to ‘forget’ about each of these very quickly (in less than a 100th of a second). An example of this would be as a rider goes up the face of a big jump and also hits small, rough bumps at the same time. We retained our TTX (Twin Tube) Technology but worked extensively on a new ‘check-valve’ system to balance wide valve openings and quick open/close actions to handle a large volume of oil flow. This required a new spool valve system as opposed to the more conventional shim-valve type. Basically it has been redesigned for each force upon it to be dealt with and ‘forgotten’ as quickly as possible, for fast recovery and keeping the stability of the bike. The new system cancels out the smaller hits and keeps the chassis stable for the big jump. The test riders found that this was one major improvement, as was the stability of the bike over ‘braking bumps’ which absorbs the harsh hits and does not make the rear wheel go light. There were also big benefits under acceleration, filtering out bumps at the rear end. Another major design criteria of the new flow shock was to make it much more rider/mechanic friendly. Maybe our previous shocks were a little complex for the average rider so we looked afresh at every component. The result is a shock with far less parts and complexity, which we have achieved without sacrificing any performance or functionality. 06 – Working with the flying finn! 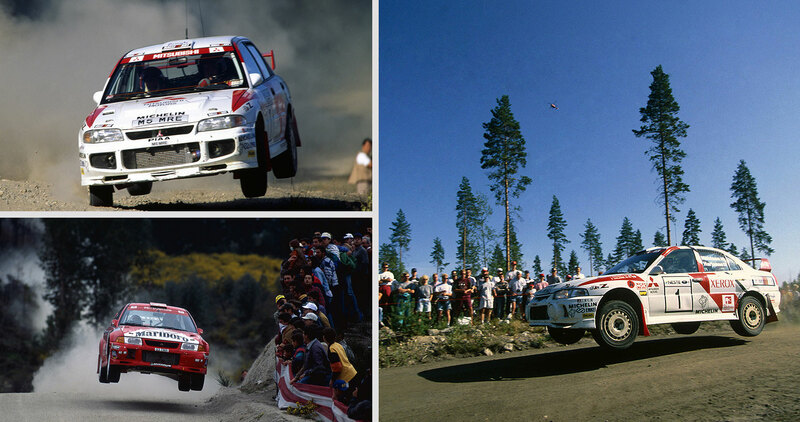 The name Tommi Mäkinen will undoubtedly evoke memories in any 1990’s motorsport fan, as the Finnish Rally driver dominated the World Rally Championship over the second half of the decade. With four world titles and 24 victories to his name, Tommi is the second most successful driver in WRC history and each of his Championship victories came behind the wheel of an Öhlins shod Ralliart Mitsubishi Lancer EVO. Whilst it may have scaled down its activities back in 2010, petrol heads will know Ralliart as the high-performance and motorsport division of Mitsubishi, primarily involved in the company’s rally and off-road interests. Set up by Andrew Cowan in 1983, Ralliart Europe first entered the World Rally Championship full-time in 1989, finishing fourth overall in the manufacturer standings after enjoying two wins with drivers Mikael Ericsson and Pentti Airkkala. After several years of development and success, Ralliart first established themselves as the dominant Rallying force they have since become synonymous with in 1996. With Tommi at the wheel of the Lancer Evolution III, the pairing proved almost unbeatable that season as the flying Finn took five wins to secure the title in Australia, two rounds early. “I had always been into cars, and rallying was my passion so I knew I always wanted to work in the sport. Initially I was a mechanic at a Ford dealer in Birmingham whilst I also spent a lot of time co-driving in night rallying, which was something that was particularly popular in the 1970’s and 80’s. Through my connections within that sport, I was lucky enough to then get an interview at Mitsubishi Ralliart Europe, which was based in the UK in Rugby. They hired me and my role from then on was to build the rally cars they used. At that time, they used a few different suspension manufacturers but I remember we first tested Öhlins in 1993 at a gravel test in Arganil, Portugal and the difference was immediate. Öhlins transformed the whole car and from then on we never looked back! Just like a motorcycle, where perhaps the suspension is a bit more of an obvious factor, it is just as vital in rallying as Paul explains “When we first moved to Öhlins, it completely changed how the drivers managed each event. Some stages were very rough and whilst they would go as fast as they could on the smoother stages, when things got a bumpy most drivers would be a little conservative in order to look after the car – but we found that the Öhlins products could take a lot more which meant our guys could drive more stages ‘flat out’! As with all motorsport, testing was important and most of the time we would test in the same area that the rally would actually take place, so we would be able to set the car up ahead of time and then hit the ground running at the actual race event. Paul has remained with Öhlins ever since, “I remained with Ralliart until 2007 when Mitsubishi closed our department. After a phone call from Andy, who was then working in the Racing Department in MotoGP, I switched over to two wheels and have been in motorbikes ever since! Initially it was with Pramac Ducati in MotoGP but after four years of travelling the world I decided to head back to the UK and moved over to the British Superbike paddock where I’ve remained since. 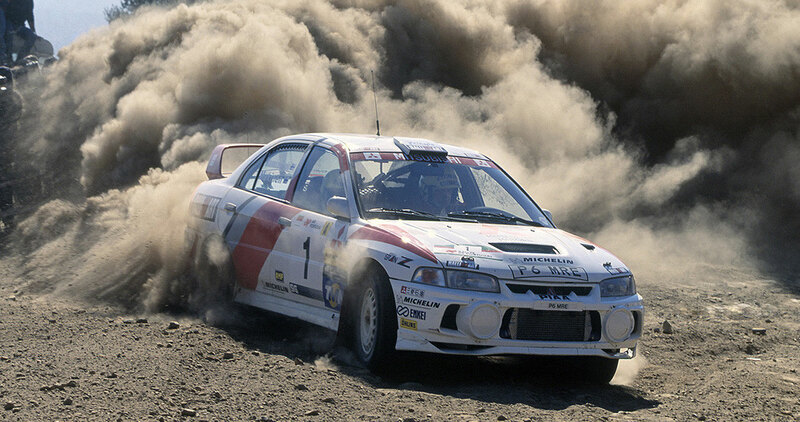 Whilst Mäkinen’s last title victory was in 1999, he remained with Mitsubishi until the end of the 2001 season. Although the two were never able to repeat the success of the 1996-99 season, it spawned a generation of motorsport fans with video games and limited edition commemorative road going versions of the Lancer Evolution VI. 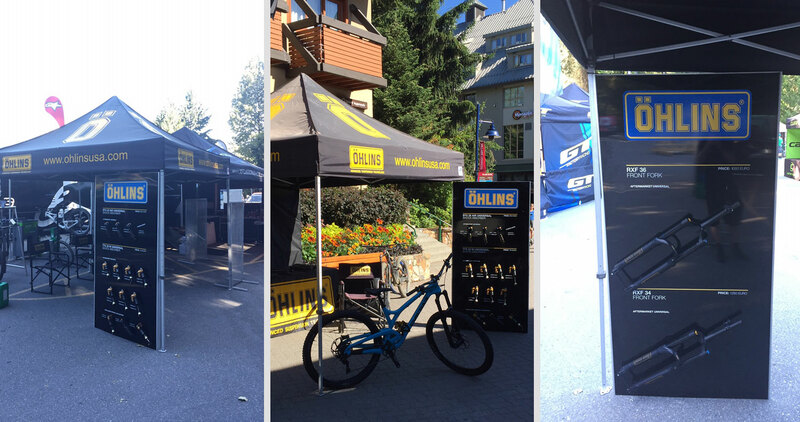 07 – Öhlins goes to the MTB Mecca of Crankworx! Originating in the famous ski resort of Whistler, Canada it has now gone ‘global’ with events in Rotora – New Zealand, Les Gets – France and Innsbruck – Austria. The centrepiece is still the founding event, with 150,000 North Americans and visitors from all over the world making the pilgrimage to this now ten day MTB festival. 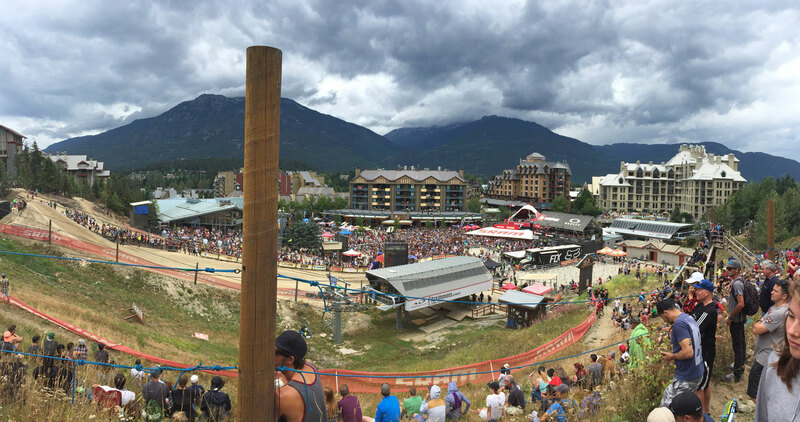 It features eight live streamed events on Redbull TV, including dual slalom, Downhill, Slopestyle for men, women and children, with over 100 entries in the kidsworx races alone. 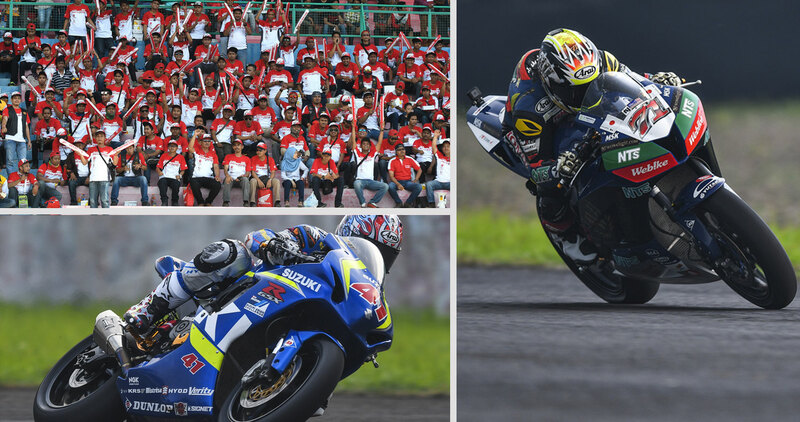 Billed as the ‘pinnacle of motorcycle racing in Asia’, its easy to see why the Asia Road Racing Championship (ARRC) has attracted so much interest from manufacturers, racers, promoters and fans. And never one to miss an opportunity, Öhlins have also been there for 2016 supporting local distributors, teams and young riders. Launched in 1996, the series now attends a mix of countries and is looking to be even bigger for next season. This year the travelling circus visits Johor, Malaysia, Burinam Circuit (Chang), Thailand, the legendary Suzuka Circuit in Japan, Sentul Circuit, Indonesia and the intriguing Buddh Circuit, India. The structure is comprised of three main classes: the premier ‘SuperSports 600cc’ (SS600) , ‘Asia Production 250’ (AP250) and the ‘Underbone 130cc’ (UB130) races , plus localised and one make classes. There are some big names in the blue riband SuperSports class such as ex GP riders Yuki Takahashi and Yuki Ito (Japan), Wilairot Ratthapong (Thailand), Tomoyoshi Koyama (Japan) and even the well known character; Anthony West of Australia. However one name really stands out; Noriyuki Haga! Nitro Nori excited a generation of fans in both World Superbike and MotoGP. Now the venerable 41 year old still runs with his traditional #41 plate, just racing closer to his native Japan. Nori rides for his old friend and rival Yukio Kagayama in his Kagayama Suzuki squad… and best of all, his son Akita (14!) races in the Suzuki Asian Challenge one make series! The class features Supersport rules with limited tuning, minor chassis modifications (cartridge kits for forks and rear shocks) plus crucially, slick tyres, to prepare riders for the next step should they move onto the International stage. 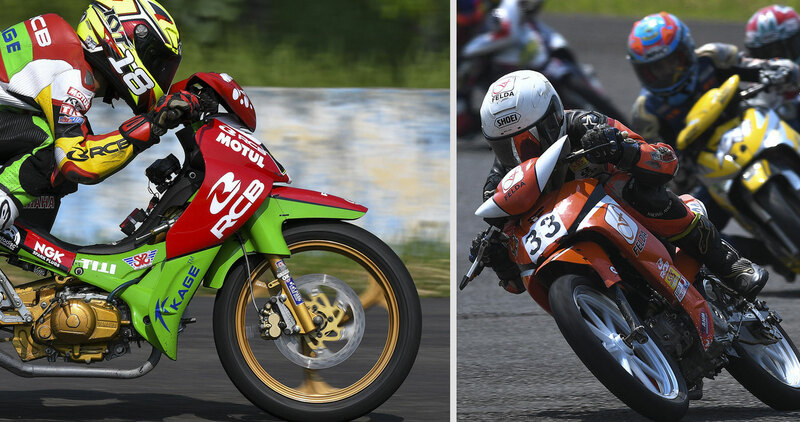 In the Asia Production 250cc class, young riders fight it out on similar machinery such as the Honda CBR250R, Kawasaki Ninja 250 and Yamaha YZF-R25. Yamaha show support for this class by helping young riders with a mentoring programme and giving them a chance to participate in Valentino Rossi’s ‘Master Camp’. A week long training camp held in Italy with the ‘GOAT’, with the goal of developing up-and-coming talents. Finally the Underbone 130cc class is a great spectacle as large grids of very young riders compete on twin shocked machines (150cc machines on single shocks for ’17). Teams spend a huge amount of time developing their bikes to try and get a 1 bhp advantage and it’s a great entry level/stepping stone into the racing world. Öhlins Motorcycle Product Specialist Byron Draper explains his role and that of the Swedish brand here in East Asia “Basically we have been keeping an eye on this series for a while. It has been increasing in both popularity and professionalism the last few years. On top of this we have noticed the use of more and more of our products but there was a lack of support to help these riders. It’s a special series because while it might seem like a National level series it is like a mini version of World Superbike in a way; the races are all “fly away” type affairs with the team’s equipment being shipped around to each race in containers. There is not a fleet of team trucks that show up at each event. As Öhlins distributors take care of their own territories this makes it difficult for just one of them to attend all ARRC events and represent the brand. As we have a lot of experience in paddock support we decided to look into the series this year for a full programme in 2017, however once I attended the pre-season test I saw that many Öhlins customers needed our immediate help so we started some support immediately. Hisazumi Takasaki (Öhlins Racing Asia & Pacific Region Manager) plays an important role in making Öhlins ARRC Track Support a success with the support of Indonesian distributor Eddy Saputra. Öhlins see this type of involvement as positive support for our customers, a good insight into how this region operates and of course it’s good to get in from a marketing angle, showing we can support different diverse regions. Feedback from many of the teams and riders has been very positive also. Being able to have service work, setting changes and consult us about bike setup in the paddock over the race weekend proved to be a valuable thing. This is why plans are going into place now to have full support at all ARRC events for 2017. 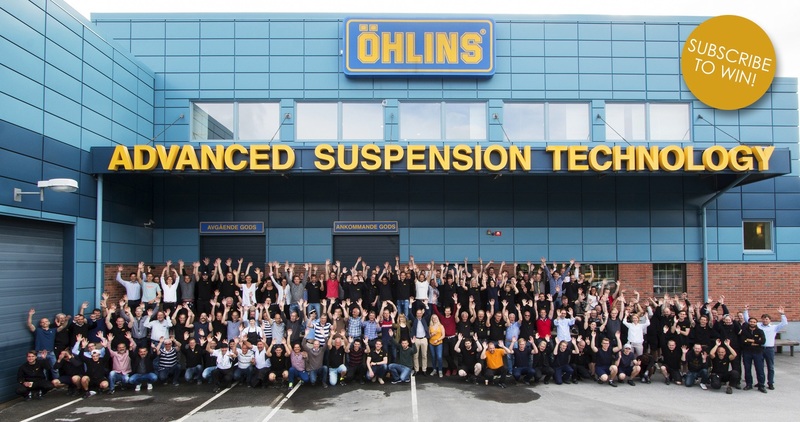 02 - Life begins at 40 for Öhlins! 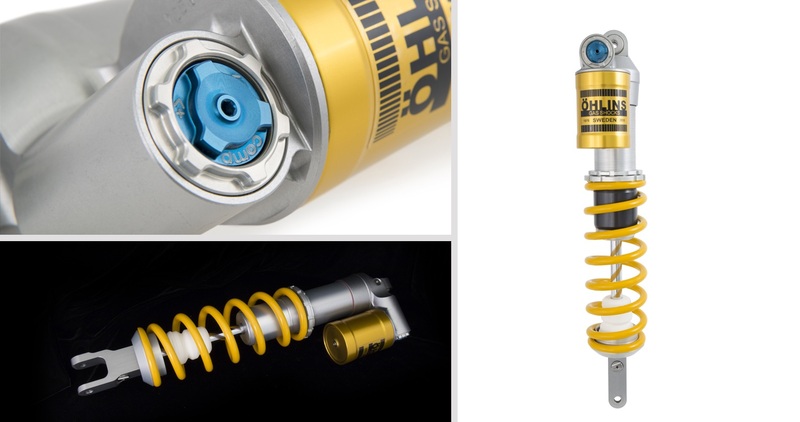 05 - Getting technical with TTX Flow as Öhlins goes back to its roots! 06 - Working with the flying finn!